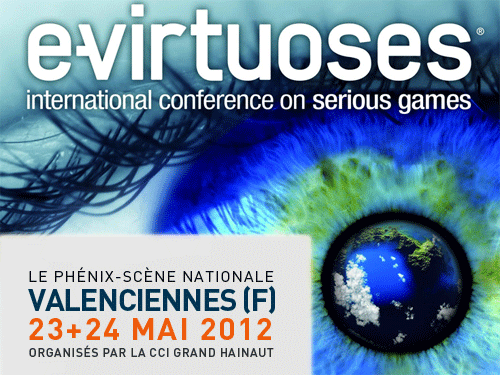 The e-virtuoses is an international event dedicated to Serious Games. It features a rich program of international conferences about the future of the field, a Serious Games Awards ceremony to celebrate the best titles of the moment, alongside with a scientific symposium focused on the analysis of Serious Games. The event took place from May 23rd to 24th in France, in the city of Valenciennes, near Lille.